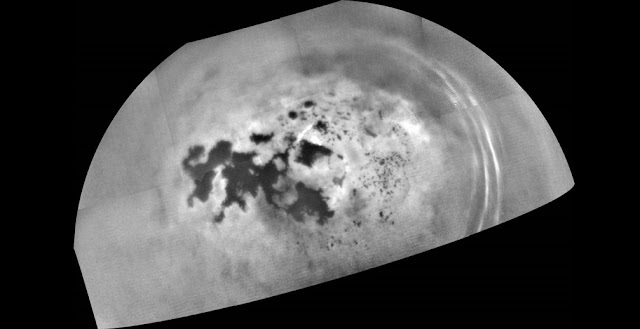 A recent NASA-funded study has shown how the hydrocarbon lakes and seas of Saturn's moon Titan might occasionally erupt with dramatic patches of bubbles. For the study, researchers at NASA's Jet Propulsion Laboratory in Pasadena, California, simulated the frigid surface conditions on Titan, finding that significant amounts of nitrogen can be dissolved in the extremely cold liquid methane that rains from the skies and collects in rivers, lakes and seas. They demonstrated that slight changes in temperature, air pressure or composition can cause the nitrogen to rapidly separate out of solution, like the fizz that results when opening a bottle of carbonated soda.